Can we have a updated place to add any web hosting site you have used and what you think of them and a price guide please. Also add a link please. Very friendly, human support, reliable *nix servers. I have also used them for my own and my customers' email for many years. I have been using Ariotek for some years now and not had any issues with them, they also hold my domains for me so its all in one place. Not necessarily the cheapest but not that pricey, my renewal is due in a couple of months but if memory serves it was just under £40 for the year with 2GB data and 20GB bandwidth/month and they host my emails as well so I dont need to use the TT servers. All in all a very reliable UK company. I use the free OpenShift service, operated and supported by Red Hat. They do not require ads or popups. My framework is Flask. Its no secret I use Vidahost. Used them now for many years and have gone through several package upgrades with them. My current plan is bespoke to requirements so price and plan not listed.. but I doubt you would need the same requirements as me anyhow. Packages start at £2.99 per month for 2GB of storage 25GB of bandwidth. UK hosting is always dearer than foreign hosting, but if you are in the UK and have a co.uk based domain and your audience is in the UK.. then you should use UK hosting. There's one of the reg guys on here who owns his own hosting company who also sometimes offers good deals. Because he is a reg contributor in the DSL sections and doesnt go around spamming the fact he does hosting.. I dont mind if he speaks up. Yes it was you I was thinking of d2d4j, I didn't want to name you earlier because I want sure of your current offers, but I do recall you offering decent prices in the past. I don't mind you posting the details because I know you contribute on DSL and you arent here to advertise your company. The are the people I've used to host my web site for the past 3 years. 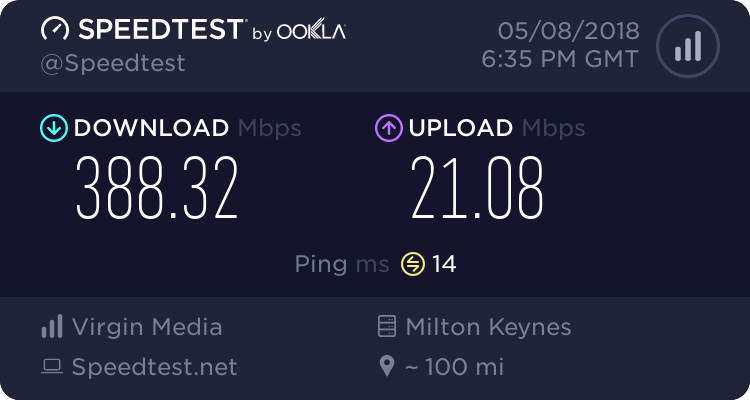 For only £14.95 per year I've found them to be surprisingly good, had no problems whatsoever, coped with up to 20,000 page views per month with no slowdowns. Don't know what their email server is like, never needed to use it. I tend to change up my web hosting service quite frequently, for no apparent reason, but am now looking into some shared hosting offers - for gaming of course! Until recently Zen were hosting my blog and my website (which has now been taken down because I am lazy) their service is very well run and if you are a Zen customer might make sense although they are relatively expensive, I used their Bronze package for 4.79/month. @matt9 : During the last few summers I usually pay for a Minecraft server for my kids to run, I do all the geeky stuff but they admin it, etc. I have had very good experiences with Nitrous Networks - they have servers on both sides of the Atlantic, decent responsive Tech Support, no bandwidth issues I have ever encountered you can sometimes find discount codes. They also give you a free Mumble server to go with your gaming server. Their remote management console and backup system works well - I paid for the basic server but usually end up heavily modifying the configuration and even uploaded my own custom server config and they didn't seem to mind at all. 2016 was the third year I have used them, and will do again. Hey Chunks, thanks very much for the informative reply. Sounds like you've got it sorted. Will definitely look into Zen, thank you. I am, however, a bit of a while away from uploading my own custom server config, but some day soon hopefully! I was also toying with the idea of a cloud server, and there's lots online about it (https://www.1and1.com/digitalguide/hosting/technical-matters/why-you-should-switch-to-cloud-hosting/), but I still feel like shared hosting is the way to go, especially as a bit of a gamer. I've taken d2d4j up on his very kind hosting offer, currently only using it for my families email accounts. I've always had my own domain name, and just redirected to my ISP email accounts, but with a potential ISP move coming up soon I thought it was time to do it properly. @ d2d4j I took up hosting offer and just to say a big thankyou for helping me transfer my domain and email to your servers.